If you have been using a traditional foam roller to provide yourself with after workout massages to improve recovery and relieve pain. 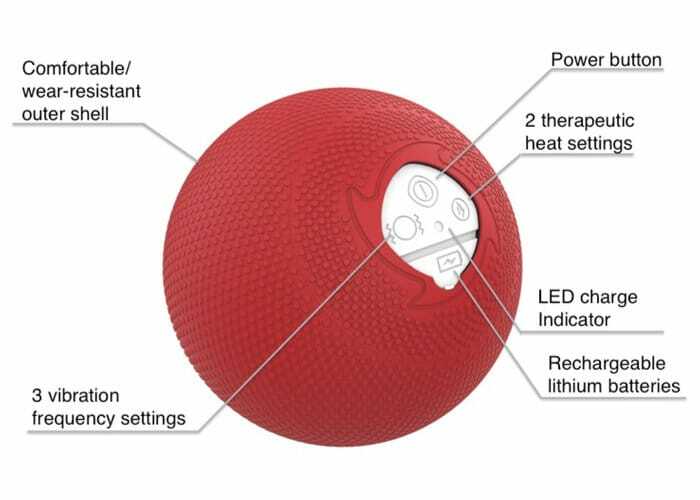 You may be interested in a new massage ball called the METEOR, which provides both heat and vibration to help improve your recovery. Watch the demonstration video below to learn more about the new after workout system being marketed as the “world’s most innovative massage ball” currently available. The METEOR is now available to back via Kickstarter with early bird pledges available from $150, offering a 15 percent saving of the recommended retail price and worldwide delivery expected to take place during December 2018. “We feel privileged to bring to you what will be the world’s most innovative recovery and performance device, The METEOR by MyoStorm. We take this privilege as a great responsibility and will do everything we can to ensure we meet our commitments to each of you.” For more information and full specifications jump over to the official Kickstarter crowdfunding campaign page by following the link below.